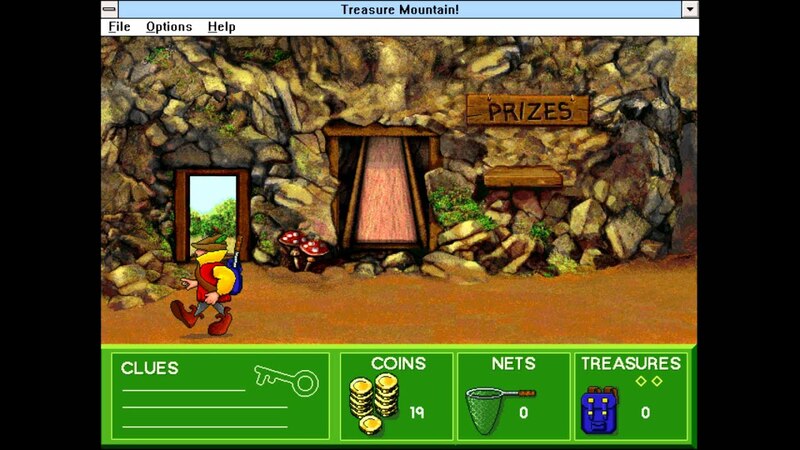 Okay I hope someone remembers this game because I cannot remember the name for the life of me. It's a logic / riddles game I played in the early 2000s. It may have been made in the nineties because my school had really old computers. I remember the game was rather pixelated. I don't remember what the character looked like specifically. It was 2d, and you viewed from an eagle eye perspective. You played as a character locked in a dungeon / castle. You moved around to get these colored keys to open doors and go up ladders. However, the keys were blocked by these little gnomes / goblins that would ask you questions. I'm thinking this was a more advanced game because I remember one of the questions I was asked involved the poem a wise old owl, and the gnome asked if it was an example of a limerick. I remember one of the keys was a bright yellow, one was pink, and one was brown. I never got very far in the game, so I'm unsure of upper levels. Was it an educational game? Sounds decently like "Treasure Mountain!" from the Super Solvers series. If you're in the US, I feel like that series was on a decent number of school computers in the 90s and probably early 2000s. EDIT: Deleted two pictures because jerkbag website changes them to "To see these screenshots, come to [our website]" -- no. Last edited by kalira on Wed Jan 25, 2017 3:37 pm UTC, edited 1 time in total. That is a good one! But that wasn't it. In this game I remember it was like you were always looking down from a birds eye view, except for when the questions were on the screen. Found several "close" games. Needs a combination of them. Posted them, just in case. Abyss (somewhat loud), Mindmaze (on Microsoft Encarta), or I.M. Meen? Sounds like Chip's Challenge with questions. Unrelated: Looked up I.M. Meen's developers. Produced Zelda: The Wand of Gamelon. It wasn't any of those. But you're right it was like a combo between them. But you were always looking from a bird's eye view. It looked a lot like chips challenge!! Just in a castle, with logic questions. 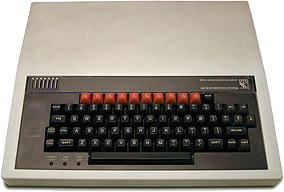 This is an educational/puzzle-solving game for the BBC Micro (Acorn computer). At first I thought it was Through the Dragon's Eye, but having played through that just now I can confirm it's not. I played it at school, around 1990-1991. It's most likely a 'Look and Read' educational adventure game, but could also be just an adventure game with logic puzzles you have to solve (through text-based inputs) in order to progress. A simple, possible adventure-style game, where in order to progress you had to solve logic puzzles, word games, odd-one-out style puzzles. Aimed at children around 8 years old. So here's the bit I remember: there was a puzzle you had to solve. There are three platforms (left, centre, right). Three boxes (large, medium, small) stood stacked on the left platform. You have to move the boxes to the right platform, stacked identically. You can only move one box one space right or left at a time, and larger boxes can't stack on top of smaller boxes. It's a common logic puzzle, but I can't remember the name for it. I also think it might not have been square boxes, but various simple-programmable objects (cylinders? doughnuts?). Aside from the game, if anyone can remember the name of the logic puzzle I described, that would be great, too. As a reward, I'll buy you a 3-tiered cake, but I'll only be able to send it to you one piece at a time, and I'll have to make sure I don't stack the larger tier on top of the smaller one. Felstaff wrote: there was a puzzle you had to solve. There are three platforms (left, centre, right). Three boxes (large, medium, small) stood stacked on the left platform. You have to move the boxes to the right platform, stacked identically. You can only move one box one space right or left at a time, and larger boxes can't stack on top of smaller boxes. It's a common logic puzzle, but I can't remember the name for it. I also think it might not have been square boxes, but various simple-programmable objects (cylinders? doughnuts?). That would be the Tower of Hanoi. -I believe you had to obtain gems or something for a portal to open for you to move to next level. -the puzzles were set with a space/universe background. You can at least provide some kind of link so people know what you're talking about. It wouldn't be Crystal Caves, would it? No. They can't provide a link. My friend told me about this game that runs on DOS. It was described to be a text adventure game that hated you, and didn't let you win. About all I know, and I'm looking for the name so I can go about downloading it for DOSBOX. First thing that comes to mind is Annoyotron (http://ifdb.tads.org/viewgame?id=fksojip0gz8sg1sn), but most likely your friend will have to provide some more detail to get a result on this. Yup, sounds like Crystal Caves to me as well. My game I can't remember. I recall reading a "best of 2016" list which included some kind of fast-paced two-player variant of MAME, wherein players would have to quickly perform a certain task in a game (complete a lap, defeat your opponent, etc), after which the emulation would immediately switch to a different game with a new task – sort of like Warioware. 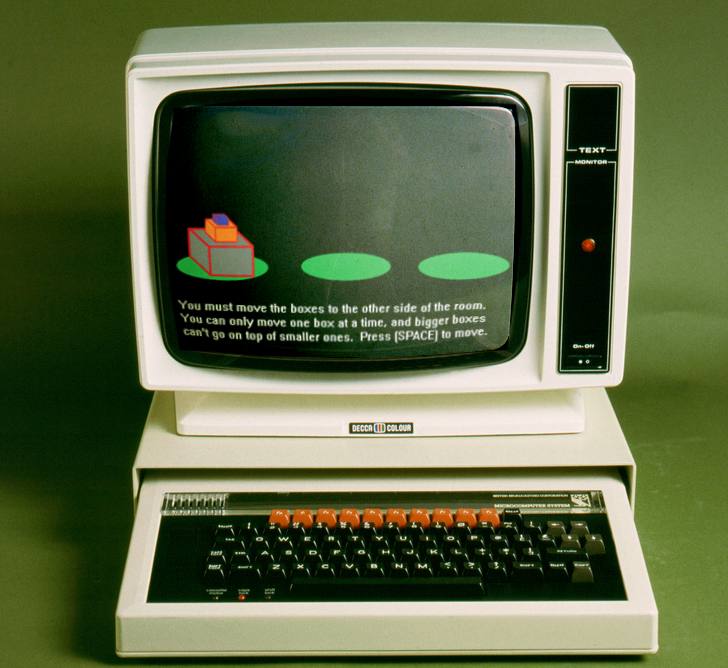 The game was of course not available for download but was strictly intended for use on tours. Does this ring a bell for anyone here? EDIT: Gah, the magic Google string was <warioware arcade tournament>. This one was an old computer game where you play some wizard apprentice/wizard school student and get sent out of your hometown on a quest. You cast spells and you only started with a fireball that shot from your staff/hands. There were 4 worlds, the first was the village that had some easy key finding puzzles (match key color to door color) in the village then this (to my younger self) incredibly difficult battle with a giant spider on a bridge. Then a forest world, then a castle, and then Hell/Underworld where the end boss was. And each world had a piece of this godly sword hidden somewhere inside that you could use to take the big bad down. If you know what it is, thank you. This one has been killing me for years. * Perspective: Pretty sure it was third person over-the-shoulder. * Art style: I'd say on par with something like any Final Fantasy game from that time. I remember it having a tech/clean feel to everything. * Environment: There were different ones, but I definitely remember running around in a desert. Probably some caves/castles sorts of things. * Mood: I think there was some sense of dread, but it wasn't overly serious or dark. * Genre: Definitely sci-fi, but some areas had a heavy fantasy-bent (more detail below). * Gameplay: Action RPG. You upgraded equipment. Got new skills/abilities, etc. But not turn-based. So it was sci fi because the setting took place in the future. But it was about playing in a sort of MMO and trying to find out what happened to a friend/friends. So there were different places to play in, but I think a lot or most were geared towards fantasy. I remember there being something about how maybe the game was killing people in real life or there were weird glitches, or whatever. Or like how whatever area you were in everything made sense, but when you'd kill things you'd get some sort of pixelated graphics as they died or something. I haven't thought about the game in a very long time, but it just popped into my head for some reason and now it's bugging me that I can't remember the name. Sounds like a .hack game. .hack//Mutation, perhaps? Yeah, pseudo's game is 100% one of the .hacks. Yes! Definitely one of the .hack games. I played all four .Hacks. They weren't great, but still decent. Holy crap, yes that is it. Thank you. Deva is a minor deity at go-seek. * Background: I played it year about 2001-2004 or something. Yes, I was using windows 98 then. The game I am looking for is 3D, 3rd person, puzzle, platformer(for example area like small island, around which there is water), character was some sort of animal or something...? maybe something like a penguin, player controls the character, you can make push the boxes around, walk, maybe jump...?, and , this is important, graphics was actually good, the weather was different from level to level, rainy, snowy, sunny.... on snowy days the character was wearing scarf maybe...? * Art style: this is important, graphics was actually good, the weather was different from level to level, rainy, snowy, sunny.... on snowy days the character was wearing scarf maybe...? * Mood: mostly like happy mood, puzzle solving. * Gameplay: i remember having second character, which you could also control, with teamwork the puzzle could be solved. Please, help me to find this game !!! Hi. No, that is not the game I am looking for. But it was somehow close. There was some other animal instead of monkey, penguin like animal perhaps. And weather was different, raining, snowing, sunny... Do you have any other ideas ? Discovered nothing with weather. Sees a limited scope. Skews towards the first level/ten minutes. May not occur then. Deva wrote: Discovered nothing with weather. Sees a limited scope. Skews towards the first level/ten minutes. May not occur then. No, this is not the game I am looking for. But thank you very much anyway. I really need to find that game. I played it a lot as a child. Wonderland? Disregarded it once already. Revisited it. Snows in one level/section. Controls two characters sometimes. Deva wrote: Wonderland? Disregarded it once already. Revisited it. Snows in one level/section. Controls two characters sometimes. Haha, finally ! Thank you soooooo much !!!! Deva, i need one more game. I even have picture of it this time. I know it is some lode runner game, and the operating system is windows 98. I don't know if it is 16bit(or dos game) or 32bit game(as you know it was possible to play dos games in windows98 without dosbox or anything). I am looking for exactly that game in picture. I searched a lot but could not find the one that matches. zoom into the picture to set game details on screen, though picture is low resolution. it is the only i have. Last edited by mhdfgfg on Tue Apr 18, 2017 6:58 pm UTC, edited 2 times in total. I can't look at your linked picture, but Wikipedia says the only Lode Runner game released on Windows during the Windows 98 era was Lode Runner 2. It is not lode runner 2, it is not isometric. I put second link to picture, can you view it now ?